I wrote this story for the Dallas Morning News. It was published on Aug. 19, 2005. HAVANA, Cuba – At the risk of being devoured by sharks, Juan Carlos is secretly preparing to escape Cuba by boat. The socialist government that Washington has spent hundreds of millions of dollars trying to topple is on the brink again. Not because of a lack of human rights or democracy, but because of something as simple as keeping the lights on and providing basic services, according to an August report by the University of Miami’s Institute for Cuban and Cuban-American Studies. “Deteriorating economic, health and living conditions” in Cuba, the report warns, are “dangerously similar” to the circumstances that sparked the 1994 rafters crisis, when 30,790 Cubans fled to the United States. 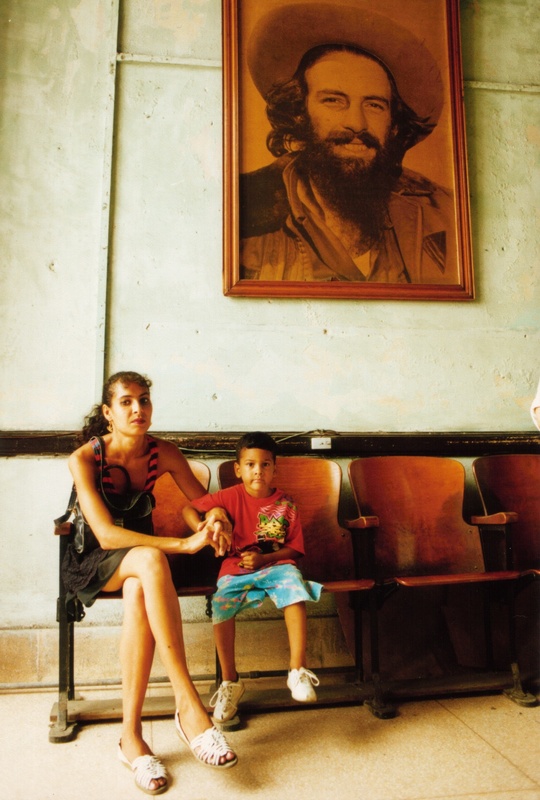 There are no signs of an exodus, the report said, but unhappiness with Fidel Castro’s socialist government is growing. Tensions are mounting, Cuban dissidents agree. “There is total discontent,” said Alain Gomez Ramos, 27, an independent journalist who is part of the opposition. During the first half of the year, the U.S. Coast Guard picked up more than 1,500 Cubans at sea, the highest number in 10 years. A Cuban Foreign Ministry official, speaking on condition of anonymity, conceded that some Cubans are frustrated and want to leave. But he contended support for the revolutionary government is not unraveling. Most people, he said, still back Mr. Castro, whose government has endured the most severe and longest-lasting U.S. economic sanctions ever imposed. What’s certain, many Cubans say, is that there’s a widening gap between the gloomy mood on Havana’s streets and the government’s upbeat official line, which predicts that the economy this year will grow at an astonishing 9 percent, thanks in a large part to Venezuela, Cuba’s newest and most important ally. Billboards showing a smiling Mr. Castro and the words “Vamos Bien” (“We’re Doing Well”) appear throughout Havana, belying Cuba’s brutal summer of 2005. Hurricane Dennis plowed across the island in July, causing $1.4 million in damage and wrecking the country’s already decaying power grid. Rolling power outages of six to 12 hours became common. And an estimated 2.5 million of the country’s 11.3 million residents were left with no running water, according to the Institute for Cuban and Cuban-American Studies. The storm added to devastation from Cuba’s worst drought ever, which has caused an estimated $1.2 billion in crop and livestock losses since 2003. Despite such setbacks, Castro supporters forge ahead, voicing optimism that their economic and political alliance with Venezuela, the world’s fifth-largest oil producer, will help them weather hard times ahead. “Cuban officials are convinced that Venezuela will save them. It’s the last card the Cuban government is playing,” said Edgar Lopez Moreno, 28, a member of the dissident movement. Among dozens of agreements reached this year: Venezuela sells Cuba 90,000 barrels of oil per day at cut-rate prices while Cuban doctors treat tens of thousands of Venezuelan patients for free or at a low cost. Cuban officials say the oil-for-doctors swap and other treaties – along with trade pacts with China and Vietnam – will turn around the country’s tough economic straits within one year. But many Cubans can’t wait, Mr. Lopez said. Those staying behind, meantime, try to find humor in their difficult straits. Jose Fuster, a famous Cuban artist dubbed the “Picasso of the Caribbean,” managed to incorporate the country’s energy woes into a piece of his artwork, a seven-foot tiled crocodile with an energy-saving light bulb mounted on its head. “Pepito, who’s to blame for all these blackouts?” one joke begins. Mr. Castro fell after a speech in October 2004, shattering his left knee. But he made a quick recovery and was making frequent appearances on Cuban television this spring, telling the people that better times were ahead. The Cuban government is spending hundreds of millions of dollars to upgrade its antiquated power plants, he said in a July 26 speech. Already, blackouts have begun to diminish, the Foreign Ministry official said. He contends that Bush administration officials, U.S.-financed dissidents and the media deliberately exaggerate the extent of Cuba’s problems – anything to give the U.S. a pretext to invade. President Bush hasn’t been subtle about his wish for regime change. In late July, Secretary of State Condoleezza Rice named a “Cuba transition coordinator,” Caleb McCarry, a former staffer for the House Committee on International Relations. “Liberty and freedom … are not America’s gifts, but gifts from the Creator,” and that is why the U.S. promotes democracy around the world, she said in announcing the appointment. Cuban officials criticize what they call Washington’s interventionist approach and mockingly call Mr. McCarry the wanna-be “governor” of Cuba. “Surely he will receive a juicy salary in his new job, but Caleb McCarry, I assure you, will retire without setting foot in Cuba,” Cuban Foreign Minister Felipe Perez Roque told reporters.